I have long naturally curly hair that has to suffer heat on a regular basis as I am always straightening or curling it (naughty, naughty). Due to this I like to make sure my hair is as protected as possible by using heat protector sprays, conditioners and nourishing oils. Therefore, as well as using a conditioner in the shower I always like to add a little extra by using a leave-in conditioner too. Aussie is a brand I love to use on my hair whether it be for treatments, shampoo’s or conditioners. I have been using the Luscious Long leave-in conditioner for around a year now and I love it. 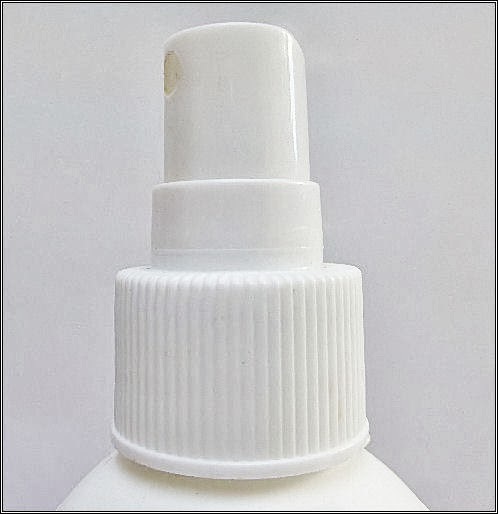 It smells amazing and does what it says on the bottle – conditions my hair. The formulation is light so doesn’t weigh my hair down and is evenly distributed over my hair so I can get a good coverage. 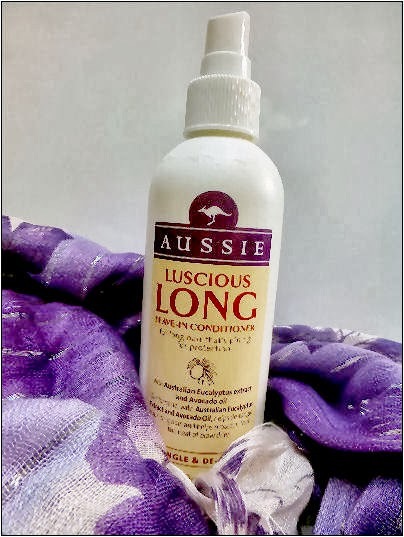 It is suitable to use on both dry and wet hair from root to tip although I am careful about how much I use as I find it can leave a sticky residue if I am a little too generous with the application. 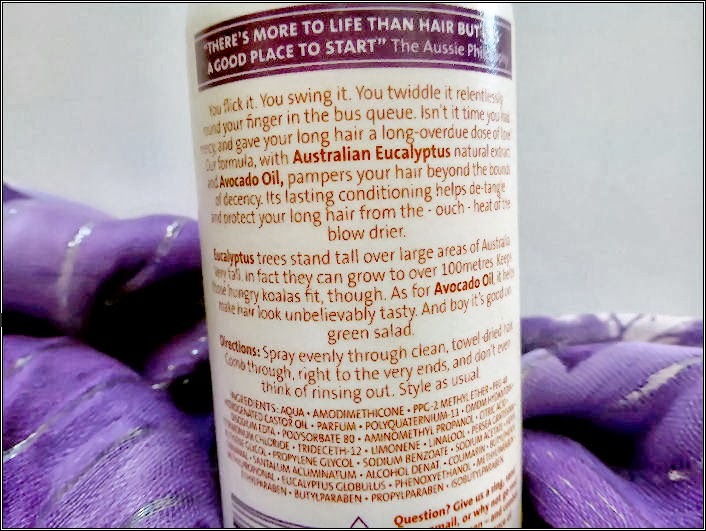 The Aussie leave-in conditioner includes Australian Eucalyptus extract (I can’t help but picture a cute Koala munching on a leaf whenever I read that) and avocado oil which is nourishing, helps to de-tangle and protect hair from heat. After using this conditioner my hair is left soft, smooth and smells lovely! It also seems easier to tame as tangles are reduced and it doesn’t frizz as much when drying which is always a good thing. This product also lasts a very long time. I must of had the 250ml bottle for a least 6 months now, if not longer and I still have around half left which is brilliant. Even though I use it every time I wash my hair and occasionally on dry hair too you don’t need to use that much so this product is really great value. This is a Aussie product I will be definitely be repurchasing again. 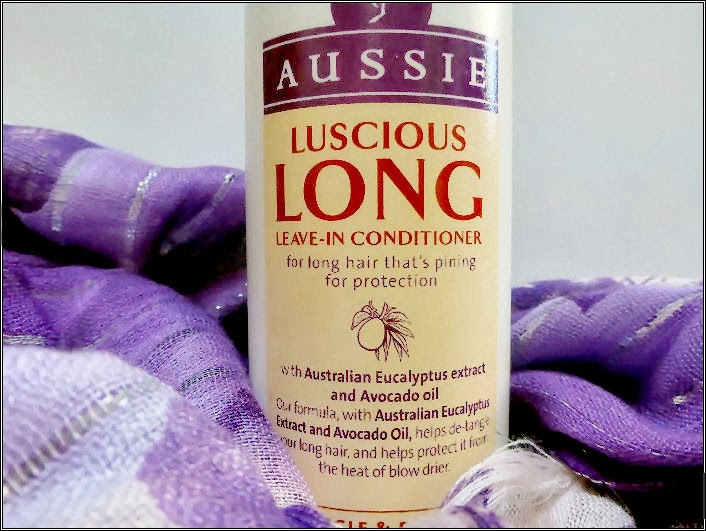 You can buy the Aussie Luscious Long leave-in conditioner from Boots for £4.49. What do you think of Aussie products? Have you tried this one? To advertise with Kimberley’s Beauty Blog find out more info here.